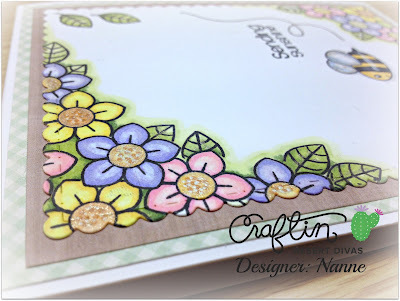 It's Nanné here today to share a cute little spring themed card that I created using the cute little bee and the flowers from the Home Sweet Home stamp set.. 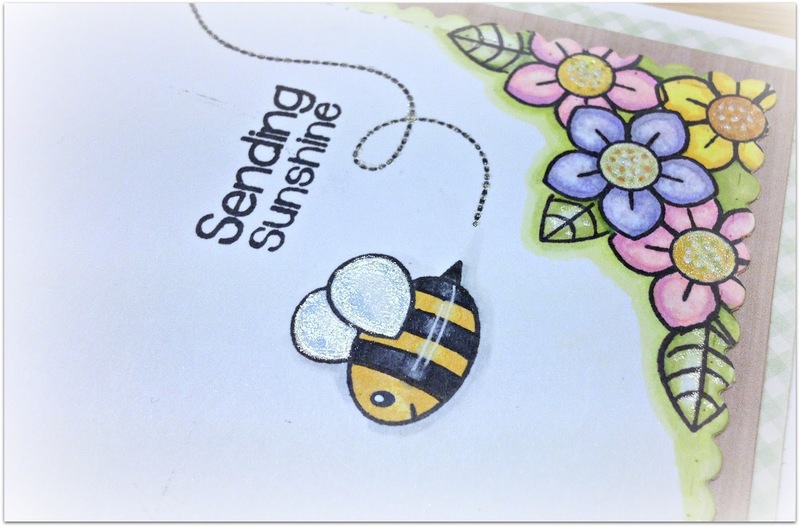 I also wanted to add a little detail to my card, so I used the bee swirl from the Busy Bee stamp set, the leaves and sentiment from the Autumn Wishes stamp set.. 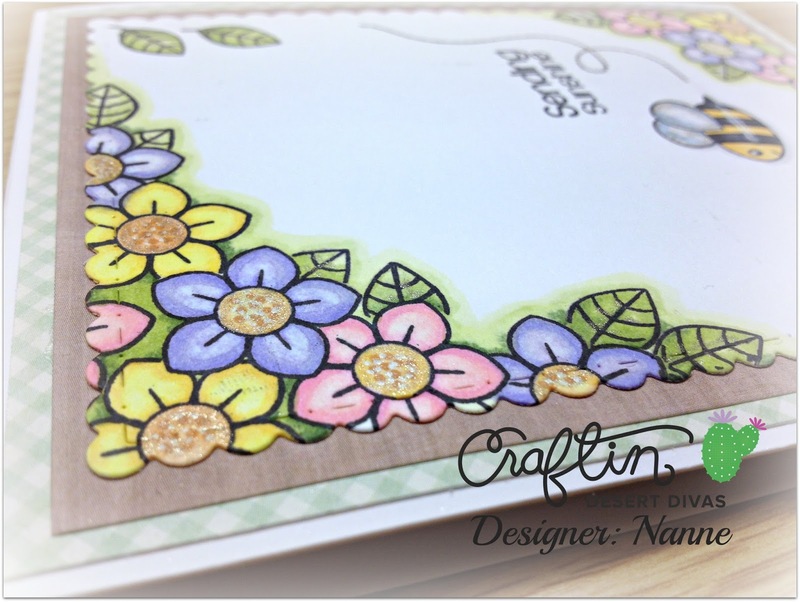 I used the big scalloped edge die from the Fancy frames die set to cut the background to my card. 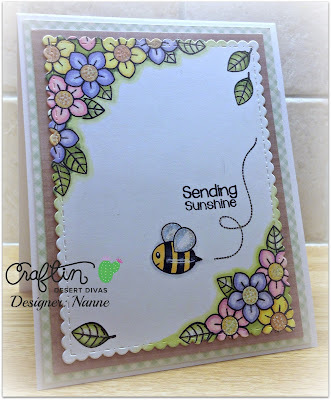 Once I had the background, I stamped my flowers and then the leaves.. finally adding that adorable bee and the swirl and lastly the sentiment.. 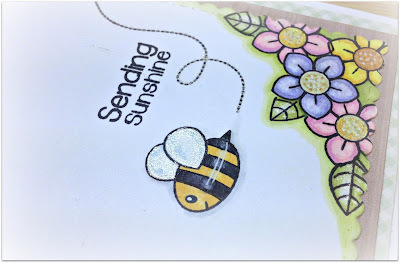 I used a Stardust pen on the wings of the bee, centers of the flowers and leaves to add little shimmer..
Masking the flowers was simple and I was able to layer them.. I colored the unstamped areas with green marker to add the cluster look.. 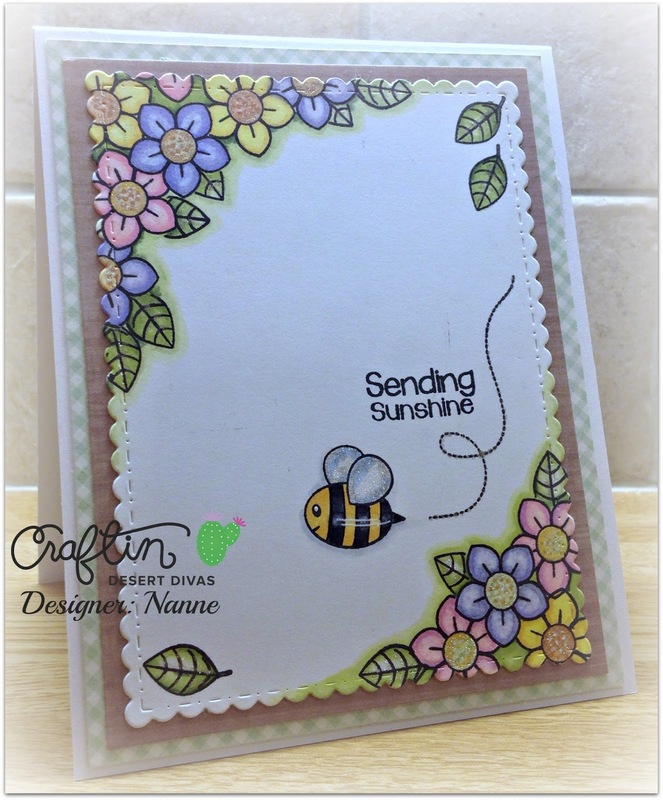 This BEE likes the Bee creation & Sunshine word. Have a BEE-utiful day! 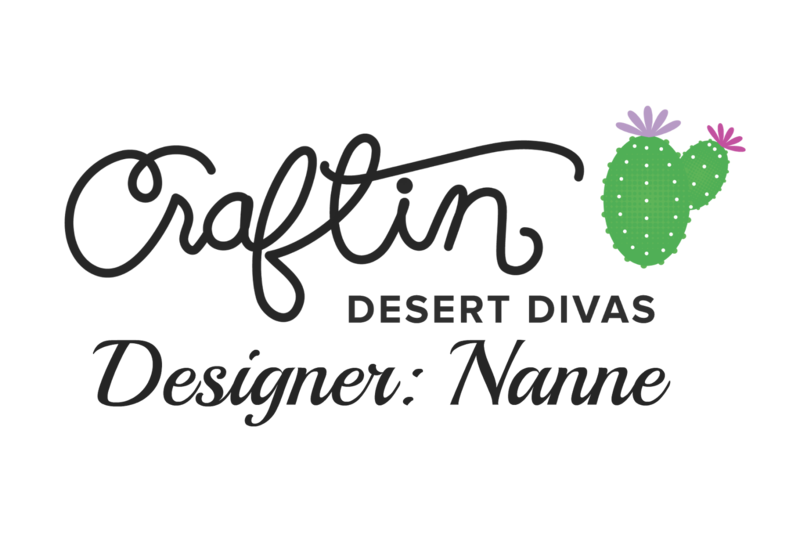 So very cute Nanne! The bright colorful flowers are a welcome sight after the blizzard we just had. I really need to learn how to mask. Do you know of any good videos to watch? I just searched youtube and found some really good ones. the way I mask is, I stamp the image on the sticky note paper and fussy cut it. Once I start with my card, etc I always start with the image I want on the front, cause once you mask an image, the next stamped image will be behind it..